TheLinkUp.com was a startup that attempted to meld social networking with file sharing. Unfortunately, as recounted in an article on Techcrunch, several severe technical glitches in the past month resulted in the deletion of half of the files users uploaded there. TheLinkUp.com was the last iteration in a series of projects going by other names, including MediaMax and Streamload: it is not known how much VC money was spent attempting to get TheLinkUp off the ground, but there will be plenty of hardware to dig through if and when we see a liquidation sale in San Diego. The site is still live but expected to go dark by August 8, 2008. In the meantime, you can see TheLinkUp.com in its heyday courtesy of the following YouTube video providing instructions for its use. 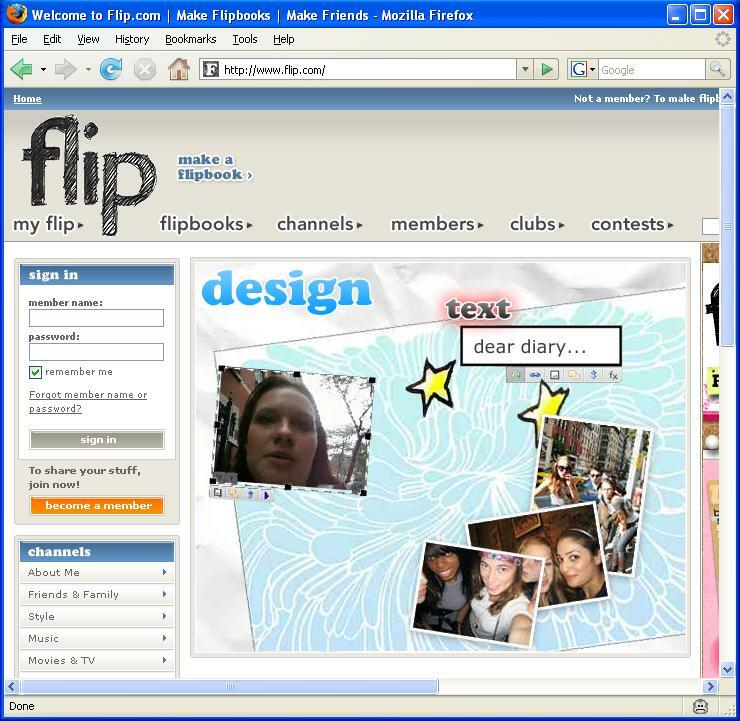 Flip.com was an elaborate social network for girls created by CondeNet, the digital arm of Old Media powerhouse Conde Nast. Its beta launch in late 2006 was for girls only, but it allowed those of the male persuasion in when it officially opened in early 2007. Flip.com used an attractive scrapbook-like interface for its members to express their thoughts. Reviewers judged its feature set well-executed, and naturally, CondeNast brought out all the big PR guns to promote it, resulting in ample coverage in Old Media outlets such as the Wall Street Journal. Unfortunately, Flip.com flopped when it came to attracting enough traffic to justify CondeNet's investment in it. In fact, according to Alexa, Flip.com's current rank of 75,513 made it less popular than disobey.com, the site you're reading now. So it was inevitable that the plug would be pulled, and it was last week, when it was announced that Flip.com would be downgraded from a Website to a mere application that would parasitically attach itself to Myspace.com and Facebook.com. Flip joins recent social networking casualty MingleNow.com (bankrolled by Yahoo) as the latest high-stakes social networking catastrophe. Others will surely follow suit as consolidation in the social networking space continues throughout 2008. If you're in Chicago next week, you're well-positioned to own a genuine piece of Web 1.0 history, because the assets of Bolt.com, a Web 1.0-based, teen-oriented social networking site will be sold at auction. Like latter-day social networks such as Facebook.com and Myspace.com, Bolt moved quickly from its user-generated grass roots to a commercial site with major brand sponsors eager to relentlessly target Bolt's young, male audience. Because a sizeable percentage of this demographic think nothing of stealing copyrighted material, in 2006 the site was targeted for massive copyright violations by Universal Music and folded in August of 2007. The lesson from Bolt's demise is clear: those who live by the teen may well die by the teen. In fact, I'd say that there's at least a 50-50 chance that we'll be poring over the Facebook.com auction by 2011 (after all, about half of the images on Facebook.com are stolen; all that's needed is a few strategic lawsuits). In the meantime, enjoy the pickings at the Bolt.com auction. The social networking shakeout officially began this week with the announcement that MingleNow.com, a property developed by BlueLithium and acquired by Yahoo, will be shutting down on January 7, 2008. MingleNow.com surfaced in late 2005 as a "next generation social network" whose purpose was to "extend one's nightlife online." Its founders were social butterflies and sought to make MingleNow.com the glue that would link the people they met in clubs with online people who might be likely to frequent the same places. It is not clear whether the project ever had a clear business model or was just a neat toy for the founders to play with. MingleNow.com may be a casualty of Yahoo CEO Jerry Yang's 100-day effort to reel in Yahoo's sprawling mix of properties, which do not function cohesively and badly need rationalization. As you probably know, I'm not a big fan of MySpace.com, at least the form of MySpace which functions today as a free-for-all for pedophiles, bottom-feeding marketers and confused teenagers. I only have a MySpace account because part of my job is knowing a little about how corporations with big bucks are trying to exploit users of social networking sites. 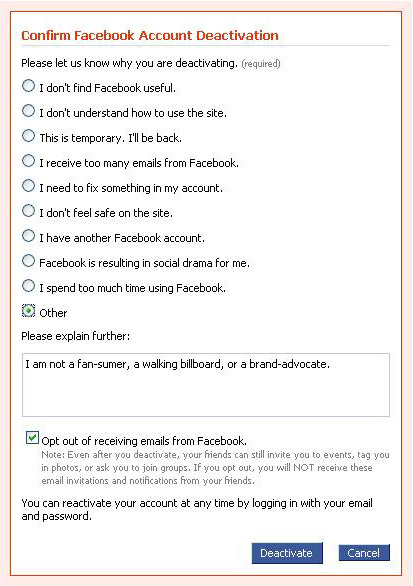 But MySpace.com wasn't always like this. In fact, up until 2000, the original Myspace.com provided a highly useful file-sharing service. Unfortunately, it wasn't economically feasible to do this, and the site closed and was replaced by the monster we all know and hate today. The screen shot above is from the Museum of I-Failure; I wonder how many current MySpace users know its origins as a failed file repository?